Santa Cruz dog bite attorney. No recovery. No fee. Are you a victim of a dog bite? We can help. 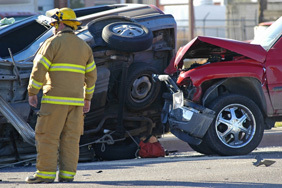 Our Santa Cruz personal injury law firm has the experience and success with animal attack cases that you need. You may deserve compensation. In California there are specific laws that address the liability for owners of dogs who inflict injuries. Dog bites can happen in a variety of settings. Animal attacks can occur when an individual is visiting someone’s house, when a jogger is running along a street or path, and at parks and beaches. Dog bite injuries often occur with children also. You are entitled to full compensation for your injuries, related costs, and time off work. California civil code states that an owner of a dog is liable for the damages suffered by a person who is bitten while in a public place or lawfully in a private place. Liability of the owner of the dog exists regardless of whether or not the dog had shown any prior viciousness or whether or not the owner knew their dog to be vicious. This means, that even if a dog has never previously bitten anyone, a person can still be responsible for the injuries their dog inflicts. And liability for injuries caused by animals can also arise in circumstances other than attacks or bites. We have represented individuals who sustained serious injuries when a dog ran out in front of their bicycle, or caused a driver to veer off a road. Don’t delay. Get the advice of an attorney immediately. Over the past thirty years the personal injury lawyers at Cartwright, Scruggs, Fulton and Walther have represented numerous victims who have been injured as a result of animal attacks or an owner’s negligence in the care of their animal. It is important to contact an attorney sooner rather than later with animal attacks, as often the severity of the injury can dissipate over time and the value of the claim can diminish. Please call our Santa Cruz personal injury law firm immediately for a free consultation if you have suffered an injury as a result of an animal attack or an owner’s negligence in the care of an animal.